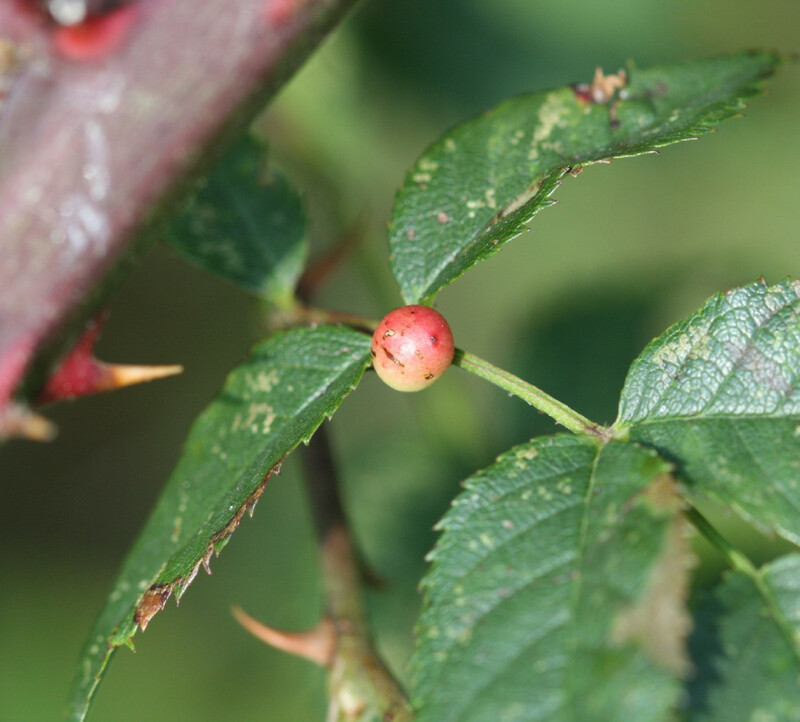 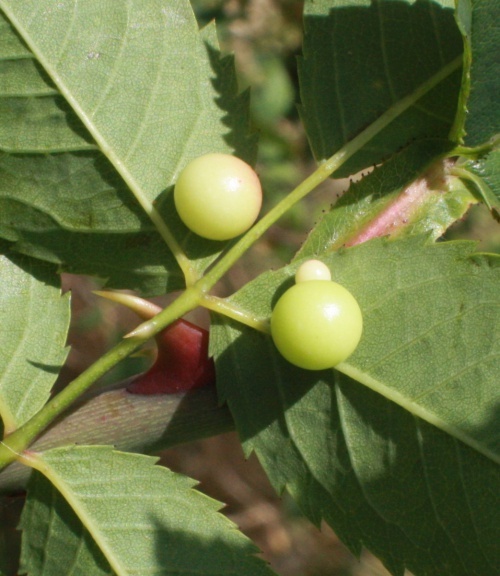 The smooth rose pea gall is caused either by cynipid wasp Diplolepis nervosa or by Diplolepis eglanteriae on the leaves of the Dog-rose (Rosa canina). 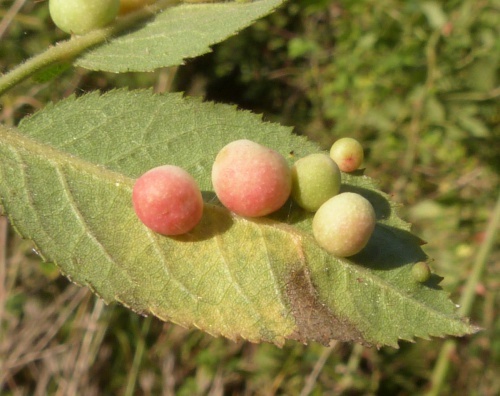 The galls are more likely to be seen than the adult wasps. 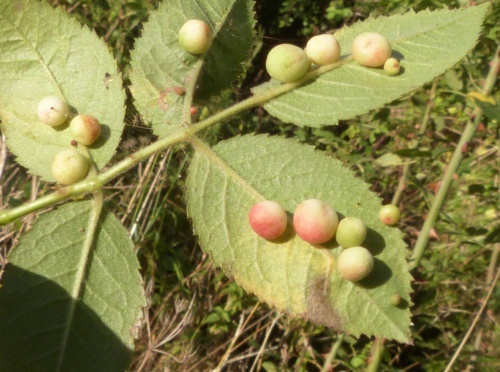 Each gall is, in effect, a hollow, fleshy nursery chamber for a small white grub, the larva of the Diplolepis gall wasp, which feeds on the chamber wall. The galls appear to detach from the leaves before leaf fall and will lie in the leaf litter until the grub pupates and emerges as the small adult wasp, only about 4 mm long.